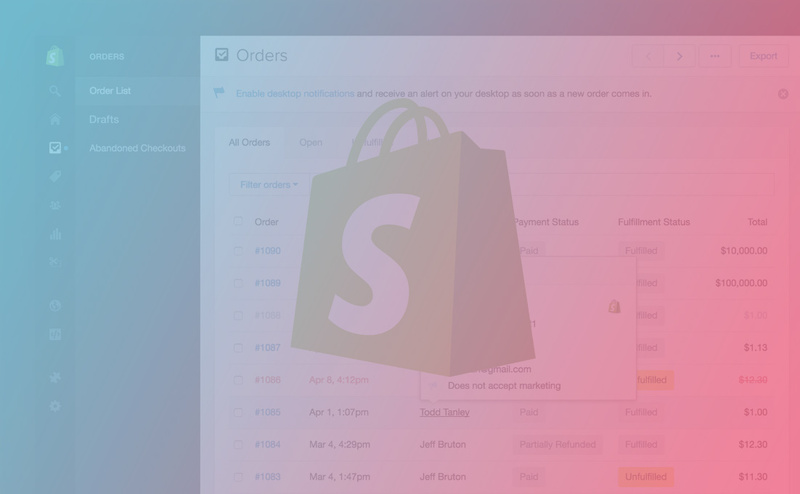 If you happen to be an eCommerce marketer, and we all know you are, then check out all the Black Friday Cyber Monday (#BFCM) content that Shopify has been cranking out. Those Canadians sure are rocking it, eh? Interestingly, we discovered an eight hour difference in peak order times between shopping days. On Black Friday, order traffic steadily increased until hitting a 12 p.m. peak. During Cyber Monday, shoppers took a mid-evening break before peaking at 9 p.m. If you noticed that 3 a.m. bump early Friday morning, we’re guessing those were west coast shoppers snagging deals at midnight (PST). Overall, well done Shopify-ers. You’ve got a great resource for marketers over there!